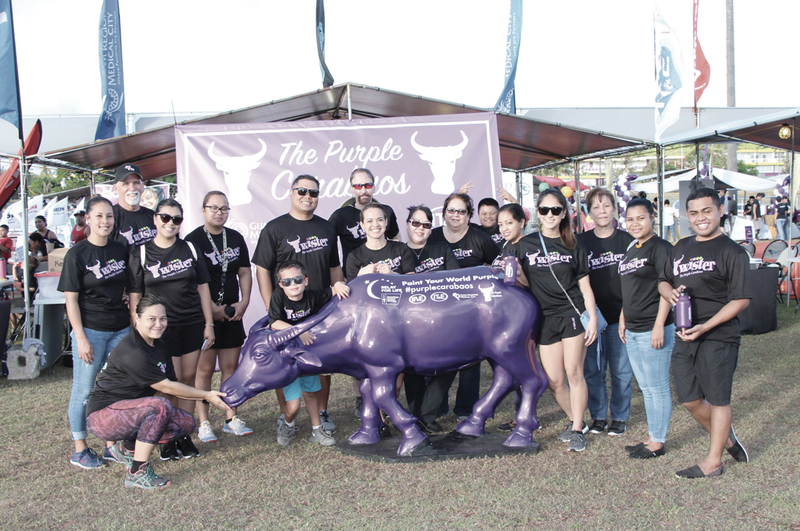 The Purple Carabaos raise funds for cancer — Citadel Pacific Ltd.
IT&E, IP&E, and the Guam Regional Medical City (GRMC), under the group name Purple Carabaos, recently teamed up to raise money for the annual American Cancer Society Relay for Life event at the George Washington Field in Mangilao. The team was able to successfully raise twenty thousand dollars, and ranked six overall for being one of the highest produced funds. A total of 72 teams joined the event.